The simple finish and neutral tones of this Alto wall bed in Maple will instantly take your space from work to rest. 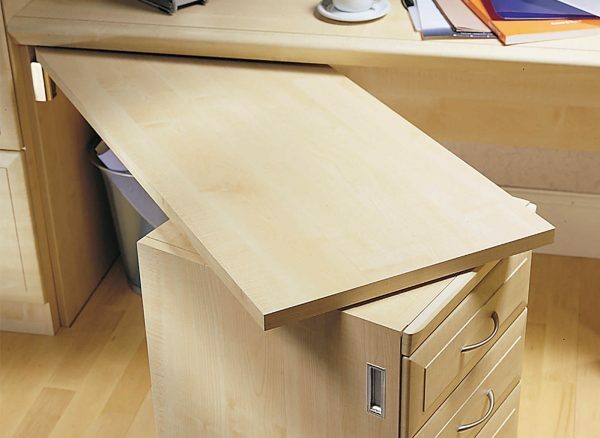 Clever solutions, such as the pull out desk, guarantee a spacious environment that’s uncompromising on style. 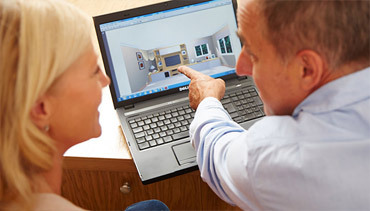 We can uniquely craft a multipurpose space for you that is both professional and welcoming. Your easy to operate wall bed perfectly accommodates a comfortable night’s sleep, while the modern lines and versatile features of the fitted furniture will help you meet any working demand. Don't let limited space stop you from enjoying a stylish and convenient multi-purpose room. Our desk spaces can be configured with a handy fold out feature, meaning you can enjoy an extending work space through the day. At night, you can simply store this away to enjoy your floor space or create room for your fold down wall bed. 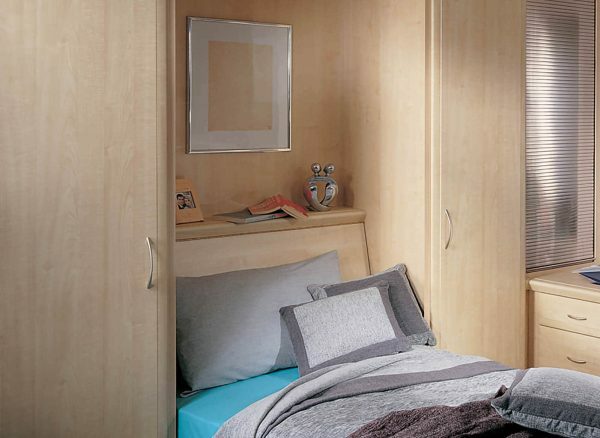 Your wall bed carcase includes internal space, which can be utilised once the bed has been folded down. A full depth area can be decorated with your choice of picture frame or photos, while a small shelf above the bed is ideal for storing books, decorative items or even a morning cup of tea. 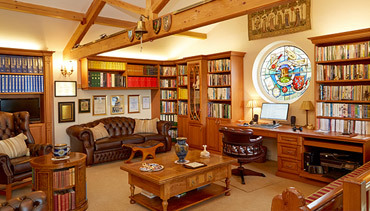 We can create clever internal features to help keep you organised throughout your working day. 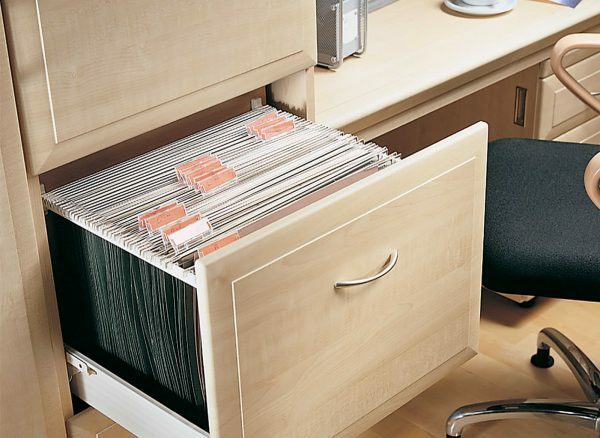 These drawer units, finished in a light Maple wood grain, have been designed to include internal filing dividers for your documents and papers. 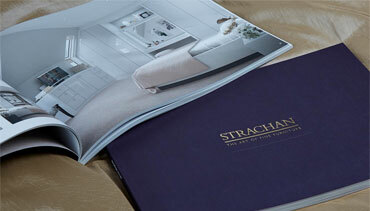 Speak to your Strachan designer to see how we can create solutions that work for you.